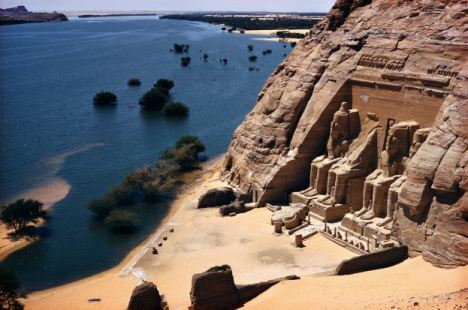 An ancient Egyptian kingdom close to the Nile collapsed more than 4,200 years ago because it failed to adapt to climate change, according to new research. 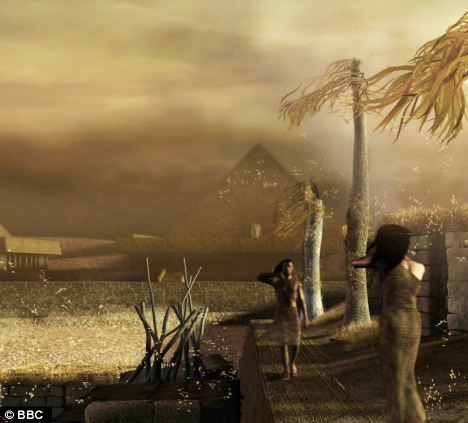 During Egypt’s Old Kingdom – the pyramid-building time – 4,200 years ago, droughts and fires plagued the region, causing famine and social unrest. Scientists examined 7,000-year-old ancient pollen and charcoal samples from the Nile to piece together the time – and found evidence of a ‘mega drought’ in the the area. 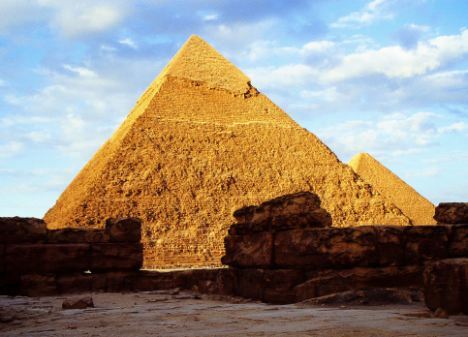 Marcia McNutt, of the US Geological Survey (USGS), said: ‘Even the mighty builders of the ancient pyramids more than 4,000 years ago fell victim when they were unable to respond to a changing climate. The researchers examined the presence and amount of charcoal, as fires increase during times of drought leaving charcoal in the geological records. They also found large reductions of wetland pollen, signifying far fewer plants grew, and increases in microscopic charcoal occurred during four different periods between 3,000 and 6,000 years ago. One of those events was the abrupt and global mega-drought around 4,200 years ago, which led to famines and probably played a role in the end of Egypt’s Old Kingdom and affected other Mediterranean cultures. These events are also recorded in history – the first about 5,000 years ago when the unification of Upper and Lower Egypt happened and the Uruk Kingdom in modern Iraq collapsed, the Geology study says. The second event 3,000 years ago took place in the eastern Mediterranean and is associated with the fall of the Ugarit Kingdom and famines in the Babylonian and Syrian Kingdoms. Christopher Bernhardt, of the USGS, said: ‘Humans have a long history of having to deal with climate change.